Happy Veganuary! 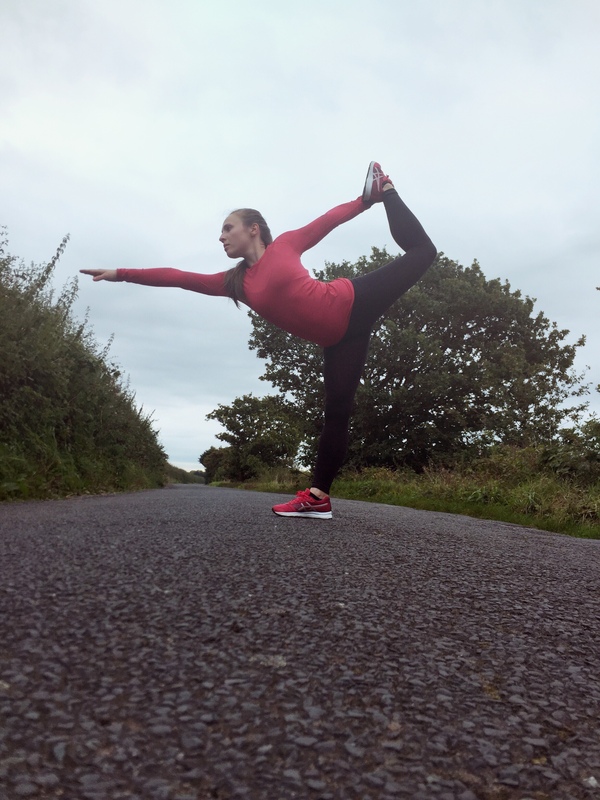 In today’s post, I want to talk about my top tips for going vegan if you lead an active lifestyle. While veganism and fitness are like best mates, the thought of changing your diet when you’re training for a race, a competition or just peak performance can be really disconcerting. But don’t worry – you can totally make it work! AND I’ve teamed up with Discount Supplements to give you the chance to win a bundle of essentials to support you in the process!If you already committed to going vegan for the first month of 2018 and started right at the beginning, then congratulations – you’ve nearly made it halfway and have already had an impact. You’ve saved lives as well as gallons and gallons of water in just 12 days – how amazing is that? Give yourself a big pat on the back (you deserve it!) and keep going. I’m proud of you. 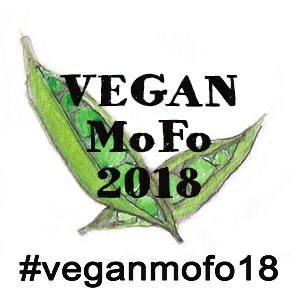 If you haven’t started yet, but are kind of playing with the idea of giving veganism a go, then the remaining weeks of Veganuary are the best time to start! Take the plunge, and if you’re unsure where to start or what to do, then you can ALWAYS reach out to me – I’m here to support you – and I promise it won’t get in the way of your fitness goals. Veganuary. It’s a great time to change your diet to a plant-based one, thanks to all the motivation, support, and resources flying around. But it’s also prime race-training season, with lots and lots of middle- and long-distance events coming up in the springtime. As a runner training for two half-marathons in the next six months, I know exactly how daunting a change of diet can be. The right nutritions is so important for performance and recovery, and if you’ve found something that works, the last thing you want to do is ditch it! Because I want you to be able to take part in Veganuary AND be a happy runner/athlete/human being, I’ve put together my top three tips for transitioning to a vegan diet with ease. Chances are, you already eat a lot of vegan foods. Oats – vegan. Fruit and vegetables – vegan. Pasta – vegan! Make a list of the things you eat regularly, and take note of how many of them are totally plant-based already – you’ll be surprised! Transitioning to a vegan diet is much less about radical change and much more about small tweaks. That doesn’t sound so scary at all now, does it? So, if you’re used to porridge every morning, keep having it, but make it with non-dairy milk. If you rely on meat as a protein source at dinnertime, swap it out for a veggie burger, a vegan fillet or some well-prepared tofu, but keep your greens and carbs the same. It’s not so hard when you break it down! You don’t necessarily have to plan every meal down to the macro (but you can, if you want), but it’s really useful to make a rough plan of your meals and snacks for the week, aligning them with your workout plan. For instance, the night before a long run, I’ll plan in some pasta and vegan pesto. For breakfasts after morning workouts, I usually have a protein smoothie, so I make sure to have frozen fruit, almond milk and protein powder in stock. By thinking about your nutritional needs and how you meet them at the moment, you’ll be able to make simple swaps to keep meeting them on a vegan diet. When I first went vegan, I got a bit overwhelmed by all the vegan supplements available. Yes, wheatgrass and chia seeds are fantastic things, but if you didn’t use them before and don’t like them, you don’t HAVE to have them in your diet now just because they happen to be plant-based. Focus on what you like and on what you need to help you perform at your pest! Personally, I have some sort of caffeinated drink pre-workout, BCAAs on very long runs and protein in some shape or form after workouts. Hardly overwhelming! 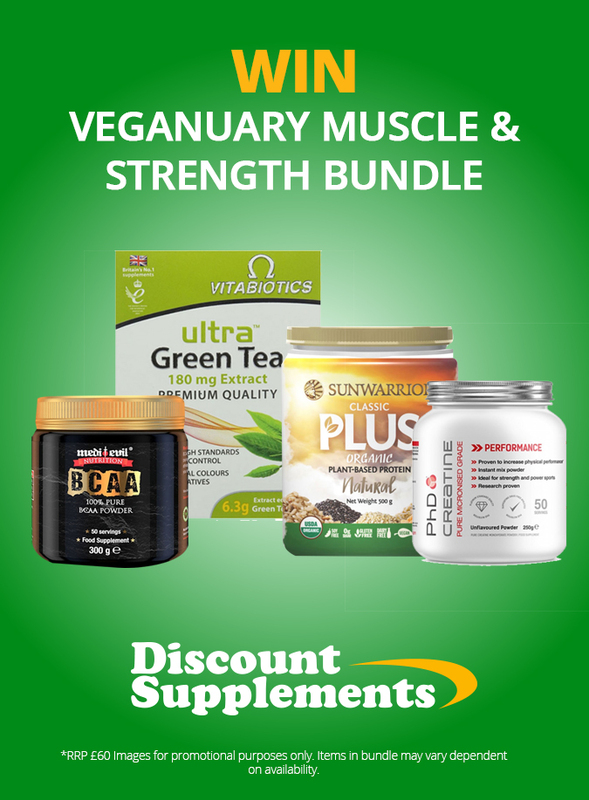 To support your training during Veganuary, I’m really excited to have teamed up with Discount Supplements to give away a selection of all-vegan supplements for you to try! The bundle includes my all-time favourite Sunwarrior protein, too! Mention this giveaway on your instagram feed or your instagram stories & tag me so I can see it! Come back to this blog post and leave a comment with your instagram handle so I can verify your entry. The deadline for entry is midnight (UK time) on Friday, the 19th of January, and a winner will be picked at random on Saturday, the 20th of January 2018. Once a winner is determined and has been contacted, I will pass your shipping details to Discount Supplement’s representative so it can be sent out to you. Disclaimer: This post is written in partnership with Discount Supplements, and the company are providing the giveaway prize. Thank you Lauren 😊 good luck!